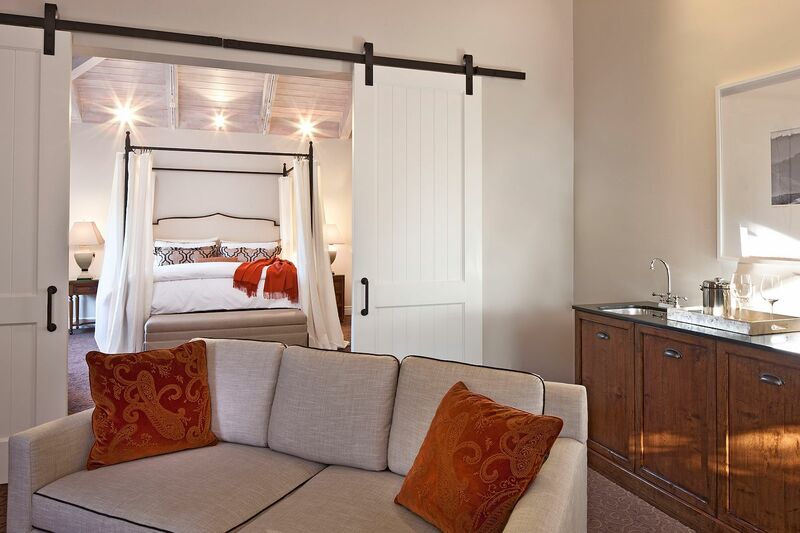 The One-Bedroom Suite is one of our most requested room options, with 885 square feet of space and vaulted ceilings. 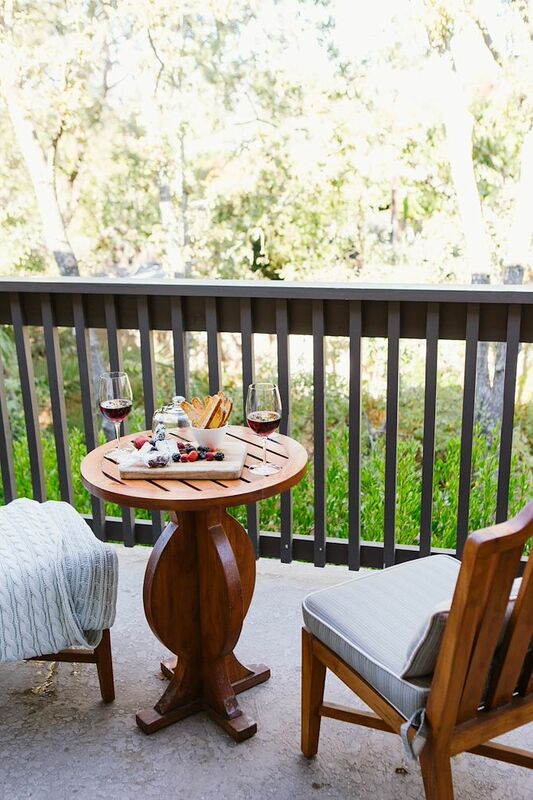 Relax on the private balcony or enjoy a cool, Wine Country night tucked into your royalty-worthy, four-poster bed, complete with signature bedding and a down duvet cover. 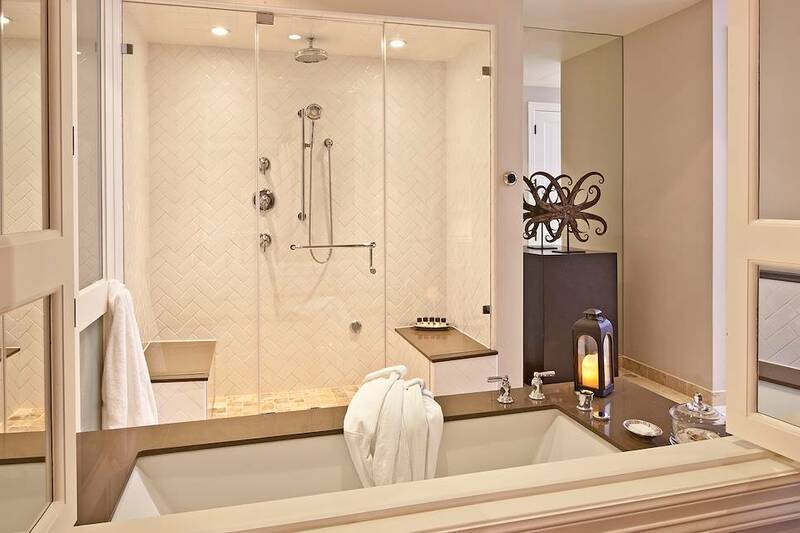 The One-Bedroom Suite’s elegant bathroom includes a large, two-person spa-tub and a free-standing rainfall or steam shower, as well as plush bathrobes and slippers. 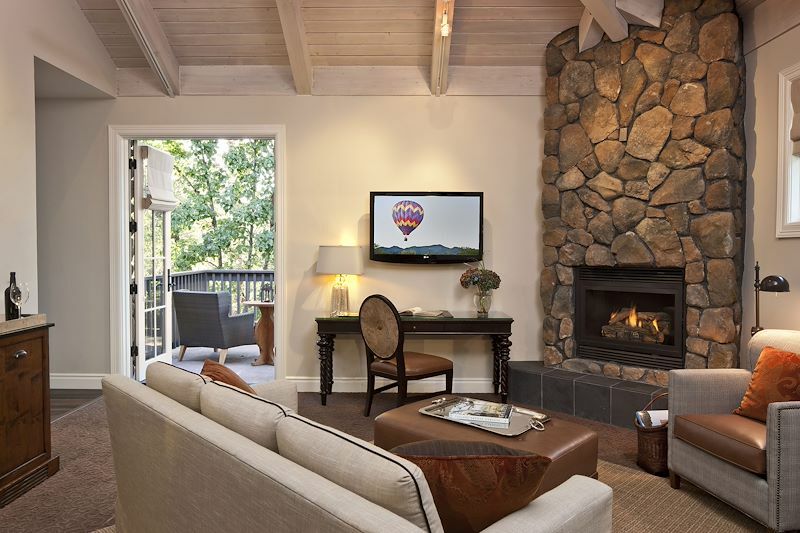 Finish the night right — next to the room’s two field stone fireplaces — with a drink from the minibar or coffee and tea maker. 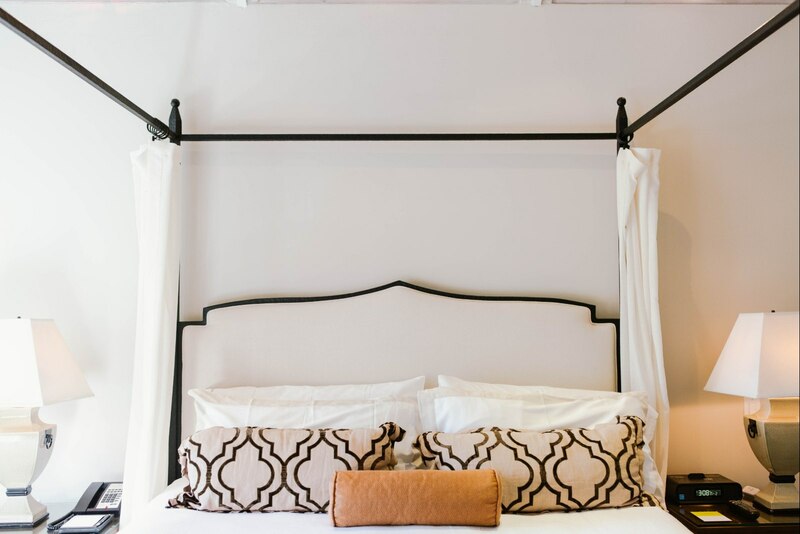 Oh, and this suite will keep you well connected throughout your stay with access to complimentary Wi-Fi and premium channels on two 55-inch LCD televisions.